The Ride series has been in the market for more than 10 years. It has always been the best choice for speed runners. Saucony Ride 10 inherits the classic design style from the previous generation, it also adds more reflective style with various colors. The upper surface uses the FlexFilm technology. It is a strong and lightweight material melded to the upper, which required fewer layers in the shoe, this give runners a seamless and flexible feel. The highly breathable mesh allows runners to keep their feet dry and comfortable. Comparing with the previous generation, the Ride 10 introduced a new technology called the woven holes, these holes are have different sizes depending on the position of the shoe, this technology allows air in and out of the shoe perfectly. Overall, the Saucony Ride 10 did a great job on Breathability. EVERUN Technology provides great responsiveness and cushioning experience. It is made of TPU material, it increases running efficiency, the lifespan of the sole generally last 3 times longer than EVA midsole. Overall, performance is significantly improved. 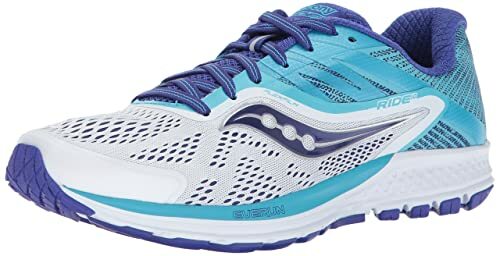 The midsole is the soul of running shoes, the Saucony Ride 10 uses the PWR Foam material, which has better rebound effect than the EVA material. PowerFoam is an injection-molded composite that is not only lighter than SSL EVA, but also provides superior inductive performance, so designed to provide a very responsive running experience. TRI-FLEX outsole technology was reconfigured for better flexibility and protection.The designer removed the SRCTM EVA area where the energy conversion was smoother, and upgraded the midsole composite material from SSLTM EVA to PowerFoamTM technology. It is worth mentioning that after upgrading the latest generation of soles, the sole slightly harden, but the bending performance is greatly improved. The Flex Film shoe upper technology helps with foot support. TRI-FLEX outsole and road contact show excellent flexibility. Suitable for middle to long range runners. The Ride series has more than 10 years of history. It has always been a popular shoe in the Americas. It has repeatedly received excellent evaluations from professional media and won the Runner’s World “Best Update” award on the debut. 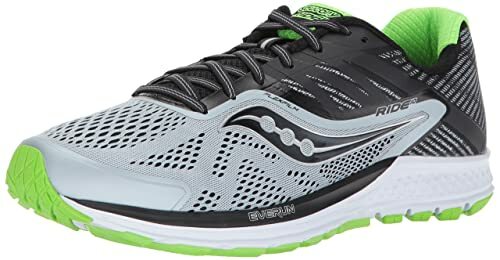 If you are looking for a pair of running shoe for your next marathon, the Saucony Ride 10 definitely should be included in your buying list. If you love Saucony and are looking for some comfort, the Ride 10 is the shoe that you are looking for. Enjoy the run!